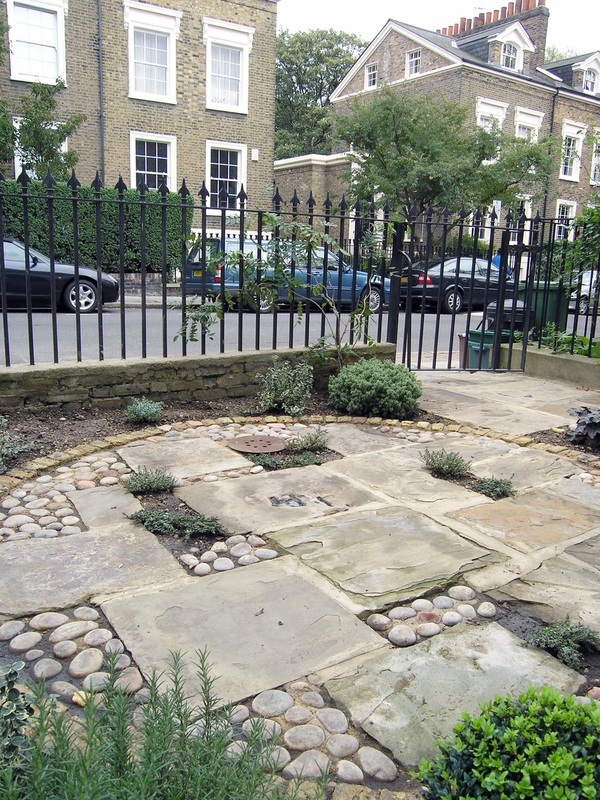 With this garden design, we transformed this dull and unimaginative area outside an Islington town house into a simple, formal yet eye-catching front garden. The shingle area and a dreary concrete path were removed, as was the overgrown Ceanothus hedge which blocked light and concealed elegant wrought iron railings. 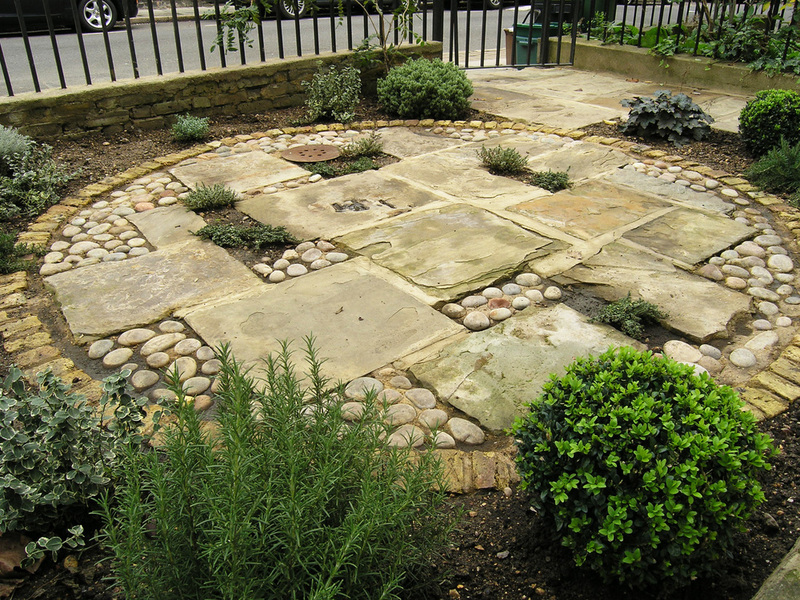 We relaid the pathway using well worn reclaimed Yorkstone and created a central circular patio of stone and cobbles edged with reclaimed yellow stock bricks. 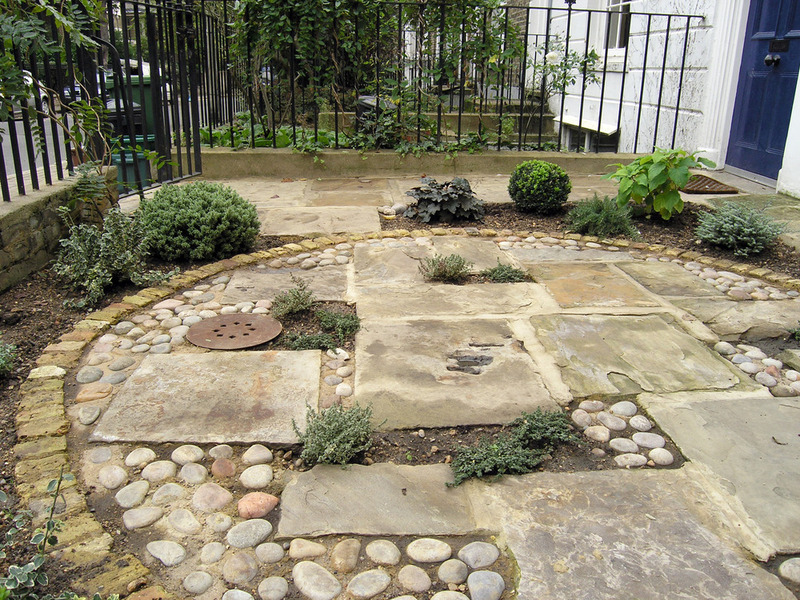 Planting gaps were incorporated and play host to creeping thyme, Alchemilla and Erigeron, softening the edges of the landscaping. To cover the existing drain, an attractive rusty circular cover sourced from a local architectural salvage yard. 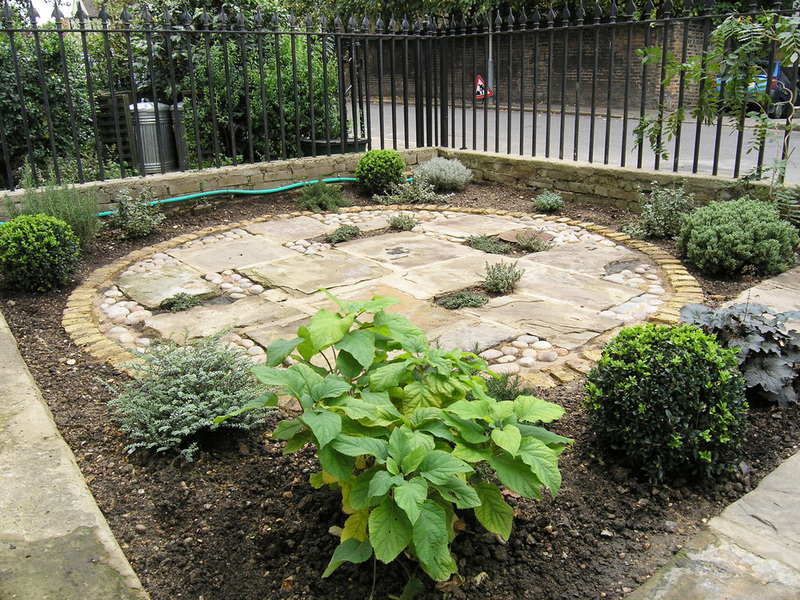 The garden circular design was further enhanced with dome shaped evergreen planting of Hebes, Box and Heuchera. Attractive twining stems of Wisteria weave through the iron railings and create a lovely floral summer screen.